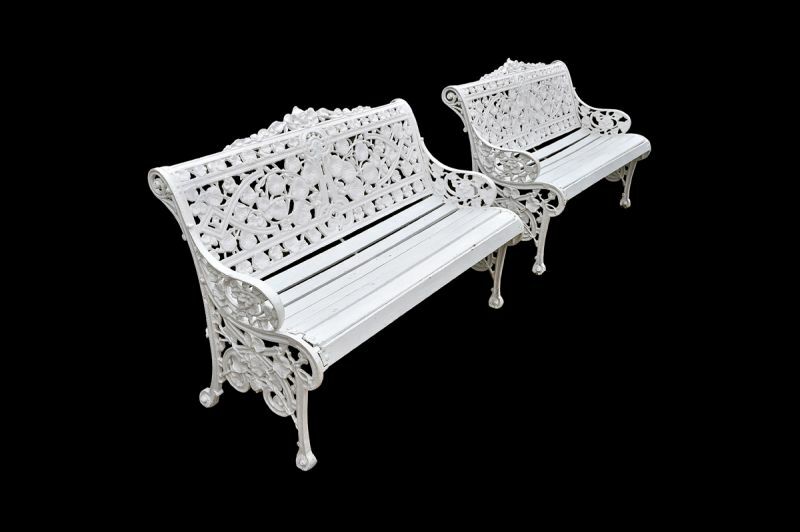 A pair of cast iron benches created in the manner of the Coalbrookdale foundry in early 20th Century. The backs have a elaborate nasturtium pattern and the seats are painted wooden slates. 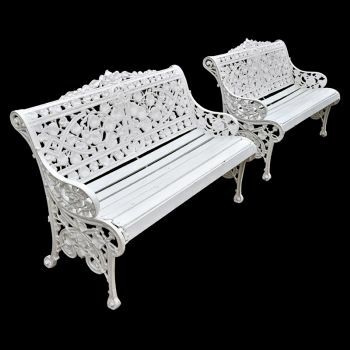 A matching pair in fabulous condition that would be an amazing addition to any garden.